The first of two animated adaptations of Discworld novels, features some great Pratchett humor & terrible British animation. Faithful & fun. 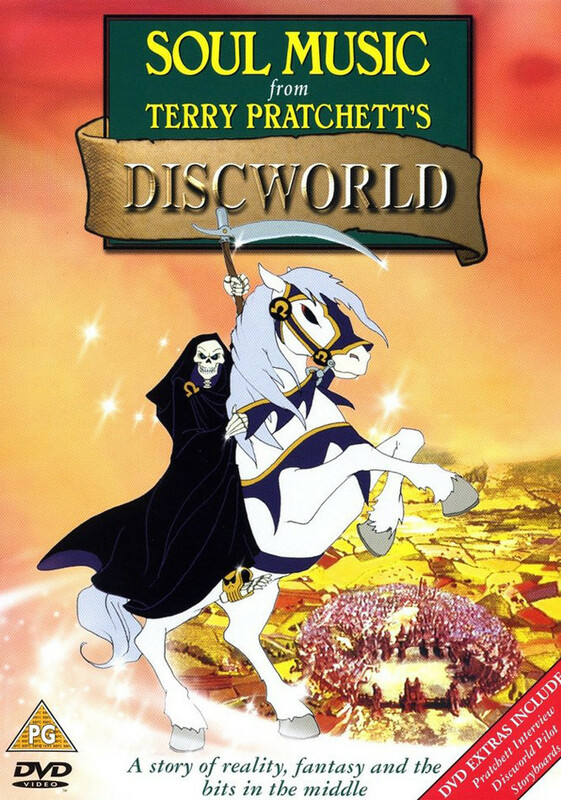 The best author you’re not reading, Terry Pratchett, has produced 40 novels (to date) taking place in the Discworld, a setting of his own creation that mirrors our world. So much great satire in genre fiction like fantasy is possible by placing our struggles in another fictional land, thus enabling us to detachedly note how preposterous so many of the things we have long since accepted in our own lives truly are. Pratchett is a master of this, and I cannot more highly recommend his novels. One of the impressions nearly everyone comes away with upon reading a Terry Pratchett novel is how filmable it seems. His stuff seems to lend itself easily to visualizations of the rich characters and settings, and there have been prints, art books, figurines, theatrical productions and film versions of his tales and Discworld denizens. But while the tales may be cinematic, it’s another matter to translate these stories to the screen. For one, Pratchett’s style of writing includes frequent use of footnotes for humorous asides and explanations that would be nearly impossible to reproduce on film. Also, a great deal of the stories rely on what the characters are thinking and unspoken decision making and character growth are common. So while you can film the events entirely faithfully, you’re still missing a lot of the story. Except for an 8-minute portion of Reaper Man called Welcome to the Discworld, which was probably just a demo reel, Soul Music is the first tv/film production of one of Pterry’s stories. Released in May of 1997 on England’s Channel 4, it would very soon be followed by an animated adaptation of Wyrd Sisters. Soul Music is kind of an odd first choice of books to adapt in some ways. While it’s a great story that doesn’t require previous knowledge of the other books, it really is weakened if you haven’t read the stories leading up to it. I imagine that parts of the tale miss an unfamiliar audience. There are really two main stories: the invention of rock & roll, and a distraught Death (the personification of the phenomenon) taking some personal time, necessitating his granddaughter Susan filling in as the Grim Reaper. Both are excellent; I’m not going to review the story here, as that should probably be saved for a review of the book, but it is a typically excellent effort by Pratchett and the story translates very well to animation. Or it would if the animation was any good. This is pretty poor quality, however. English animation studios seem to have retained the design aesthetic of the 1960’s in everything they do, and the production value is no better than 1980’s Saturday morning cartoons. It was made for television, I realize, so I don’t want to be too hard on it. Had this been released in the 1980’s, it would have been perfectly suitable. But for 1997, it’s underwhelming. 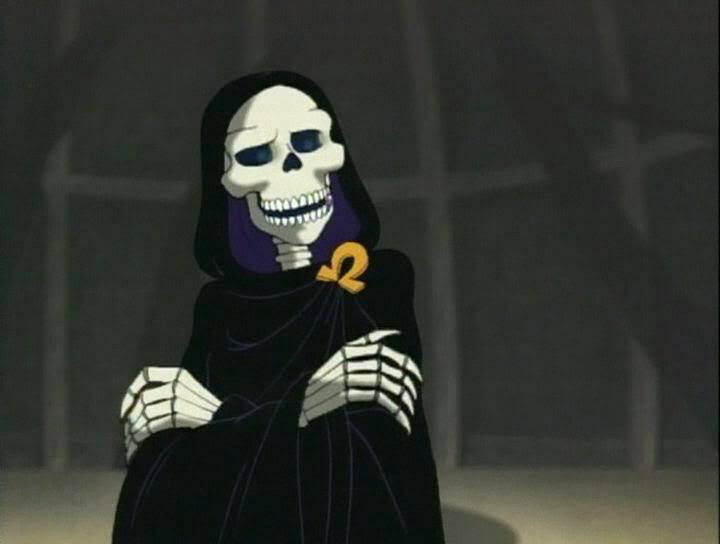 The voice work is suitable, with Christopher Lee nicely voicing Death. The sound design is very cartoonish, however, as if it wasn’t being taken very seriously. This, combined with the animation lead to a very amateurish feel to the whole affair, even if there are professionals at work here. As for the adaptation, it is done well. I have always maintained that the only way to properly adapt Pterry’s books is by serializing them, and blissfully everyone who has gotten green-lit seems to feel the same way. For British tv, this was split up into 7 episodes, each under a half hour. For the home video release, it’s split into two parts of about 100 minutes, which works pretty well. It doesn’t contain everything from the books, but very nearly. I’d go so far to say that it’s less an adaptation than an illustration. 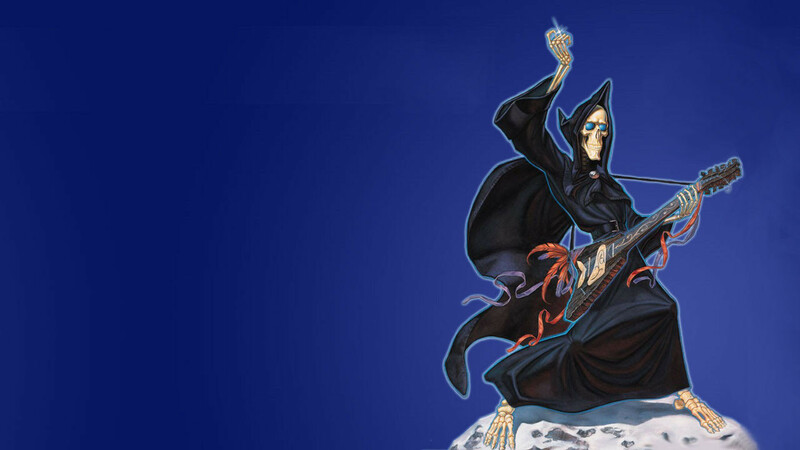 Soul Music is definitely recommended for fans of Pratchett’s work. I’d like to recommend it to non-fans, but I’d really suggest you read the novel first for maximum enjoyment. If you want to start with an adaptation of his work, I’d probably point you to the next project featuring the wonderful character of Susan, Hogfather.